My interest in the martial arts started early in life and, for several years as a child, I competed in Judo competitions. After a few years away from martial arts, my interest was rekindled in the early 2000s when I took up kickboxing and kung fu. Around this time, I wandered into my first tai chi session, thinking that it was a kung fu class. I had seen tai chi and, although it looked pretty cool, I thought it wasn’t the type of exercise I wanted to do. At the time, in my twenties, I was more attracted high adrenaline stuff like sparring. I thought tai chi was something I’d look at later when I start to slow down a bit. In all honesty, it took me a while to ‘get’ tai chi. But one thing really struck me after some time of practising regularly – I felt more mobile, flexible, calmer and relaxed. And this made a big, positive difference to the other martial arts I was studying. 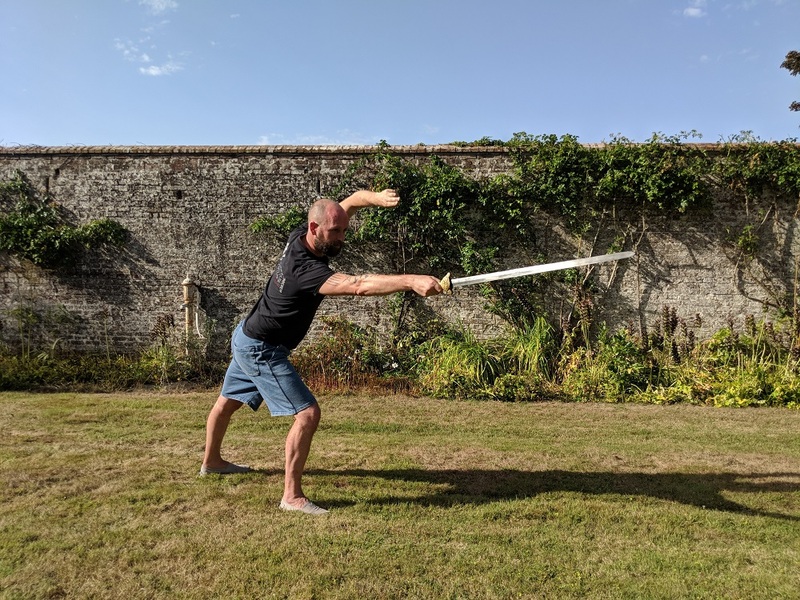 So I stuck with it and began a daily, dedicated practice of tai chi and qigong, continuing to gradually improve physically and deepen my knowledge of the art of White Crane Tai Chi and several weapons forms. In 2007, I was lucky enough to study in Beijing, where I learned a version of the Yang Style form as well as training in some Hsing-I. Shortly after returning from Beijing, I began teaching and later opened White Crane Academy. This is a Chinese martial arts club based in Sussex, UK, where we teach a variety of classes in kung fu, kickboxing and tai chi. A series of knee injuries and operations, including a cruciate reconstruction in my early 30s, meant that I was forced to amend my training while in recovery. I found that tai chi was a tremendous complement to physiotherapy and I am certain that it helped me to return to full fitness more speedily. Not too long after this, my dad passed away. Again, I found that tai chi was a practice that helped me greatly during a difficult period. For me, it felt as though, whatever the problem was, tai chi was the answer! While I still love sparring and a hard workout, my training has evolved over the years to be very tai chi focussed. As I have deepened my practice, many of my students have also evolved. I’ve seen them become physically fitter, overcoming obstacles. They have told me that they sleep better, are less affected by stress, have lower blood pressure and feel more energetic. They have found that they have improved in other martial arts, sports and activities as a result of their tai chi practise. As well as teaching younger students, over the years I have taught in residential homes and healthcare centres, as well as working with clients privately and many referred from a local physiotherapist. Physically and mentally, tai chi is of immense benefit, whatever your age or current levels of health and fitness. For me, tai chi is a lifelong adventure. I practice every morning and teach in the evenings and at weekends. I thoroughly enjoy helping as many people as possible, from a wide range of backgrounds and ages, to learn this treasured art. I am very grateful and proud of the local community that has grown out of White Crane Academy, and I am fortunate to have many students that have trained with me for a number of years. Now, I am very excited to be bringing tai chi to a wider audience, building a global community at White Crane Online. Please feel free to get in touch. You are welcome to ask about my background, or find out more about how to start your tai chi journey with WCO.